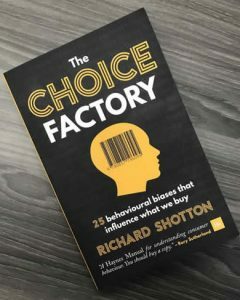 In The Choice Factory, author, behavioral economist and ad man Richard Shotton lays out the top 25 ingrained biases that almost all of us share, and that shape our decision-making and buying habits. It’s juicy stuff for any marketer or advertising professional. The book provides practical guidance on how marketing plans can evolve to address the ways consumers actually behave instead of continually focusing on the ways we wish they would. I originally began following Rich Shotton on Twitter, noting his posts on branding, advertising, and especially the burgeoning field of behavioral economics. Then we connected on LinkedIn and I became familiar with his new book. Following Shotton’s ideas led me to Ogilvy & Mather (London) Vice-Chair Rory Sutherland, who has done as much as anyone to promote behavioral economics, expanding on the inner workings of this interesting field while speaking at advertising industry events and TED Talks. Why is this important? David Ogilvy himself famously said, “The trouble with market research is that people don’t think how they feel, they don’t say what they think, and they don’t do what they say.” So, what are we to do when deciding on ad strategy and spending our clients’ ad budgets? First off, understanding how people really think when evaluating shopping choices is vital. The Choice Factory is written in an entertaining and highly-accessible format, with 25 short chapters, each addressing a cognitive bias and outlining simple ways to apply it to your own marketing challenges. Richard Shotton is Deputy Head of Evidence at Manning Gottlieb OMD, the most awarded media agency in the history of the IPA Effectiveness awards. 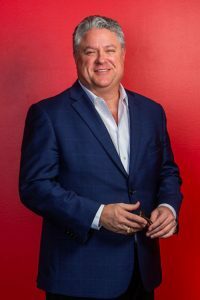 He started his career as a media planner 17 years ago, working on accounts such as Coca Cola, 118 118 and comparethemarket.com, before moving into research. Buy The Choice Factory on Amazon.